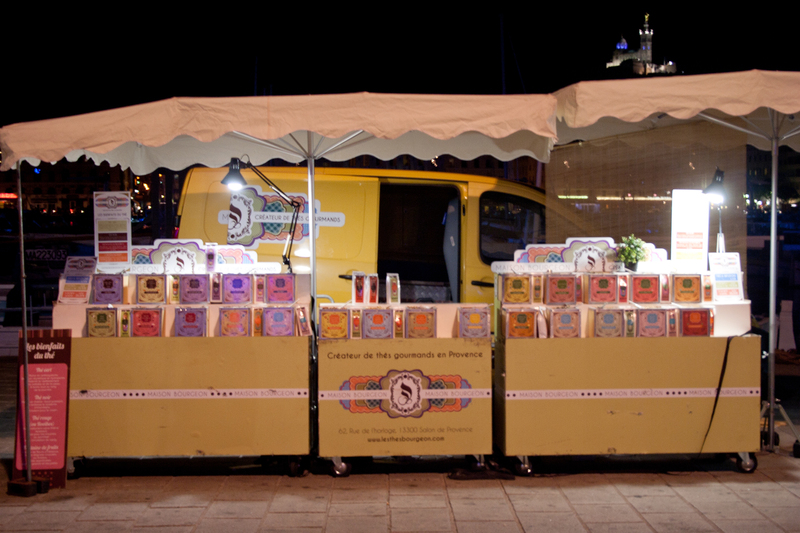 Maison Bourgeon, the creator of gourmand teas as they call themselves, was selling their products in Marseilles last weekend. Could I have passed by without stopping? A small truck with plenty of teas in colorful tea caddies attracted many passers-by to stop and glance. My head was spinning from the scents of all these teas and it wasn’t easy to pick one. 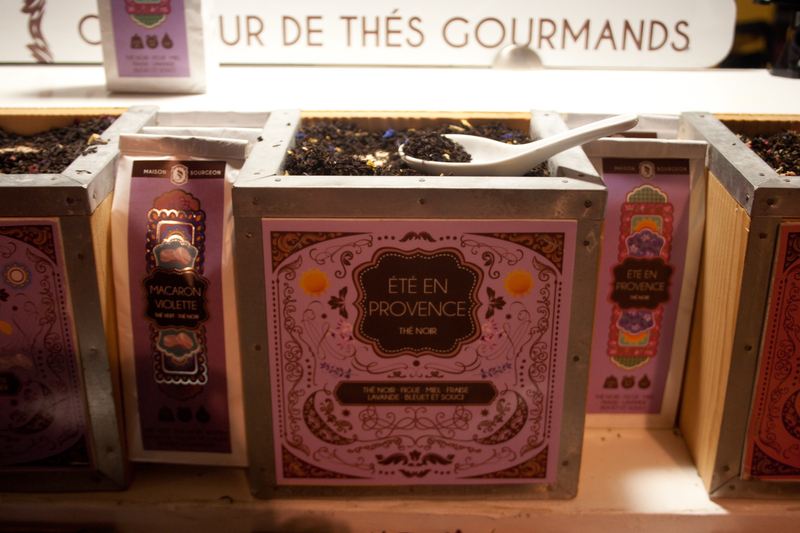 “Été en provence” is a black tea blend scented with figs, strawberries, lavender, blueberries and marigold. Thus, the name of the blend: “Summer in Provence”. And since lavender grows just up North of Marseilles in Provence region, this blend was certainly talking to me.